“Half Term” is the English version of Spring Break, but each of the three school terms has one. So for this term, my daughter’s Half Term was spent vacationing in Devon and Cornwall, the two most southwest counties in England. So here begins part one of what I’m sure will be a series of blogs covering our trip, start to finish. Rather than driving the entire way, my husband had the brilliant idea of taking the train part way, then renting a car to explore the more rural areas. In theory this sounds great, but having two young children means having to lug travel beds and car seats and a stroller and diapers and extra clothes, etc, etc, etc. We’ve probably chosen the time in our lives where travel with children is the most difficult. They just have so much stuff and aren’t yet old enough to carry any of it. As I sit at Paddington Station waiting for our train to depart, I see families with 6-8 year olds, wheeling their own small bags. Ah, that will be us someday. But until then, we are making it work with my husband, a.k.a. the pack mule. I truly wasn’t sure how we were going to manage until we did. 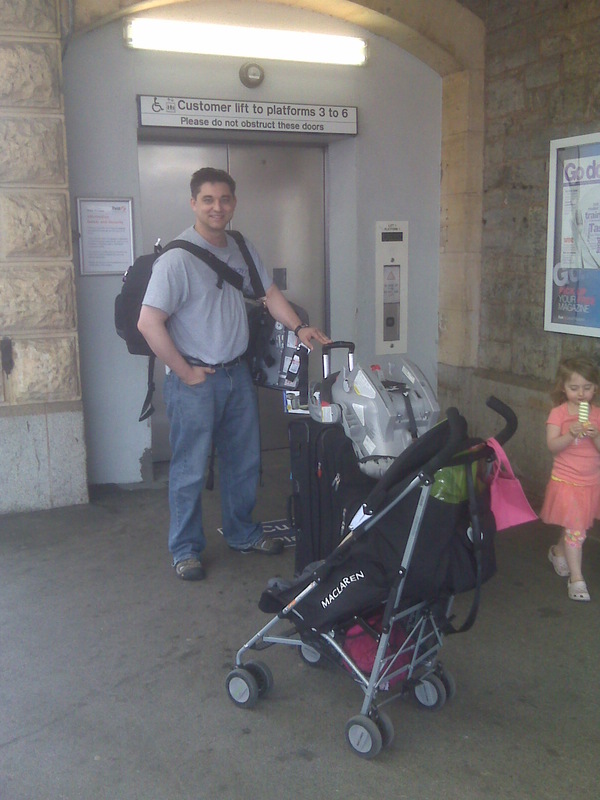 But if husband didn’t mind being the pack mule, and we could take a mini cab to the main train station, I agreed. I’ll begin with some ideas to pass the time with children, whether your travel is by train, boat or plane. 1. Eating as an activity easily “ate” up (pun intended) about half an hour of the trip. And this doesn’t have to mean a lot of preparation time. A loaf of bread, ham, hummus, packaged smoothie, fruit. If you’re going to eat it within a few hours, no ice pack required. 2. Looking out the window to count sheep, cows, fields, etc. Although on our train at about 100-120 mph, this became difficult. 3. Taking walks down the aisles. But again, difficult on high speed trains or airplanes with turbulence. 4. A new toy or activity book stashed away until absolutely necessary. 5. When all else fails, a laptop and a video. The train actually proved to be very good, and we arrived in Exeter, England in just over two hours on our +100 mph train….versus about four hours via car. 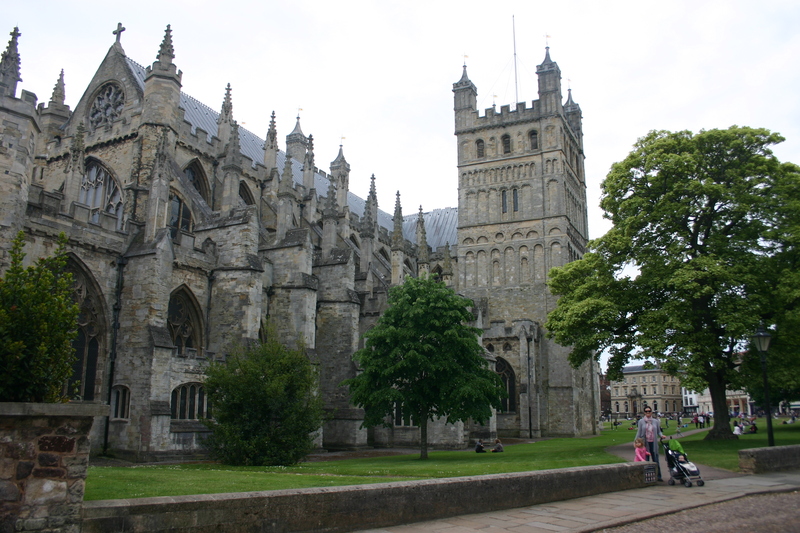 After settling into our hotel, we explored Exeter’s elaborate St. Peter’s Cathedral in the city centre, one of the finest Gothic cathedrals in Britain. 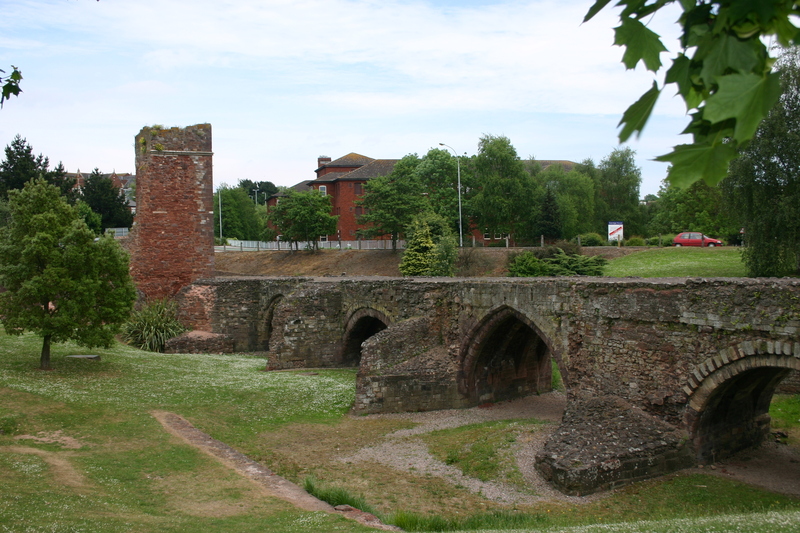 Exeter was inhabited by the Roman army in as early as 50AD, so is one of the oldest cities in England, and we encountered remains of the Roman wall throughout our afternoon walk. 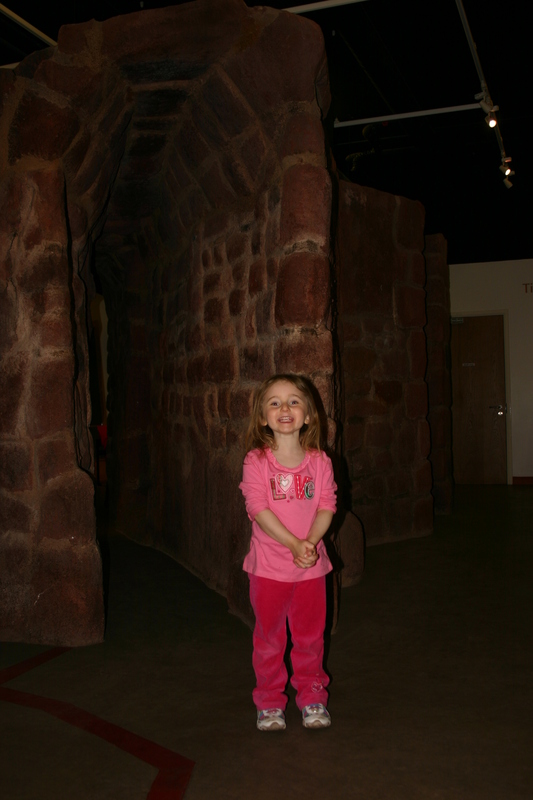 One unique highlight was discovering the medieval underground passages tour. These underground tunnels were built in the 14th century to provide clean drinking water to the city. They are the only such passages open to the public in Britain. They were actually built not by tunneling but by digging deep ditches, then constructing the ground up and over them. Lead pipes were laid to bring the fresh water from streams outside the city to the city centre. The tour is definitely not for the Closter phobic…as I had to duck for about one third of the tour. But interesting? Yes, definitely. Do you know about StreetCar yet? If not, I’ll send you some info. Also, did you get a chance to try Cornish clotted creme with jam and scones? Hope you had a great time! Yes, and yes! Yum! The clotted cream tastes like a mix between whipped cream and butter…do you know how to make it? Yes, you buy a Cornish person. No, actually I think it’s a lot like churning butter but they add sugar or something. It’s one of those “don’t try at home” things. Sounds very interesting. I agree, travelling with small children is a lot of work. Mine are at such nice ages now for travel. They can carry their own stuff and don’t require near as much entertainment material. An ipod, video game, and a DVD player will you get you most anywhere. Just don’t forget the chargers for each device! Have fun and enjoy all of the sites. We miss you all.